This freebie pack features one animal illustration, a watercolour background from Barn Owl Studio and a selection of gold strokes from NKate. 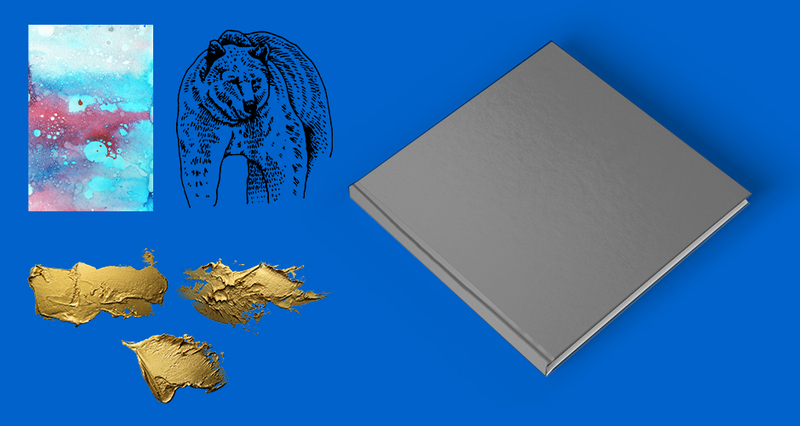 Also included in this pack is a book mockup from the Print Mock Up Pack courtesy of Mockup Zone. File types: this freebie pack contains .PNG, .JPG, and .PSD files. Our absolute pleasure- we are so pleased you like it! Thank you so much! Your tutorials are always stunning! Thank you so much for taking the time to write such a lovely comment Despina! It really means so much to us to hear that you find our tutorials stunning- we’re so glad that you enjoy them :). Woohoo that’s awesome to hear Ulrike! gracias , siempre con cosas excelentes!